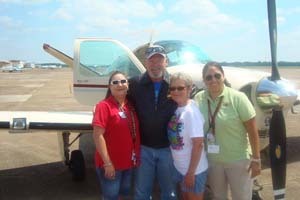 Pilots volunteer for this organization because they have giving hearts and want to use their aviation skills and resources to help others! 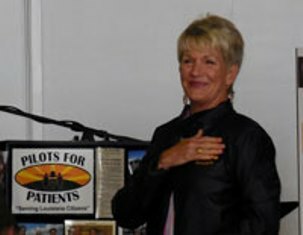 We at Pilots for Patients feel that they should be recognized for what they do! We are proud to say that Pilot Mac McKenzie was presented his leather jacket today for completing 50 MISSIONS by Director Sharon Thomas! Congratulations Mac and thank you for everything you do! 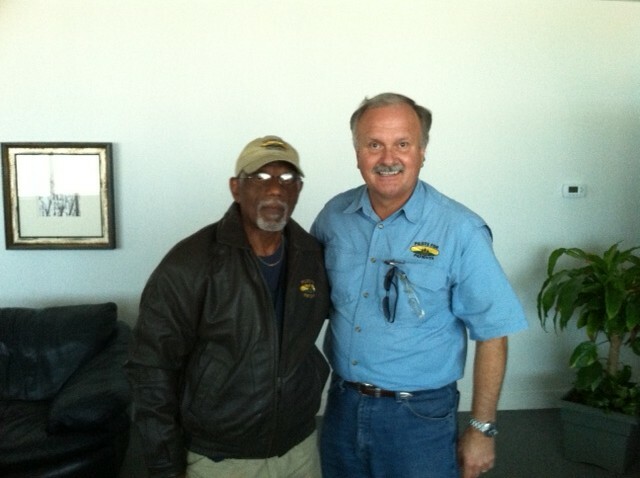 Congratulations to PFP's Pilot Florence Bethard for flying over 50 missions for PFP. 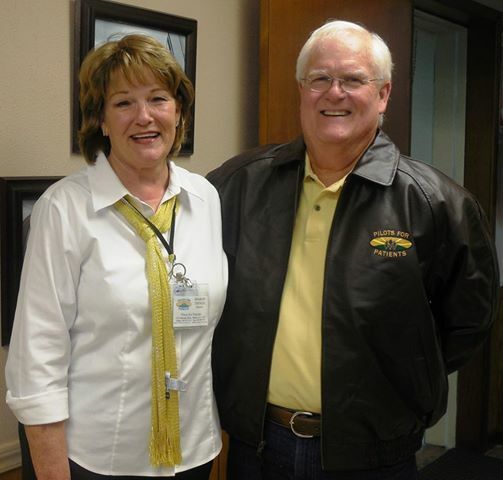 She was presented with her PFP Leather Jacket by PFP Director Sharon Thomas at the 2013 Awards Luncheon. Congratulations to PFP's Pilot Larry Lehmann for flying over 50 missions for PFP. 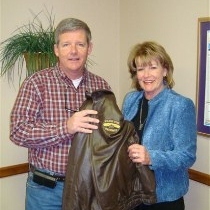 He was presented with his PFP Leather Jacket by PFP Director Sharon Thomas. Pilot Clay Dean completed his 50th mission on Sunday July 28, 2013 bringing patient Temple from Monroe to Houston for treatment. PFP Special Events Coordinator, Heidi Higginbotham and PFP volunteer Stacey Graves are pictured with pilot Clay and his wife Darlene presenting him with his PFP leather jacket. Pilots for Patients president Philip Thomas, right, and pilot Bo Hunter. 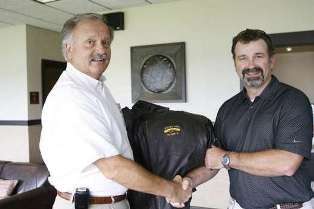 Mr. Thomas presenting Bo with his leather jacket for flying 50 missions for Pilots for Patients. Pilots for Patients president Philip Thomas, left, and pilot Don Imhoff. Mr. Thomas presenting Don with his leather jacket for flying 50 missions for Pilots for Patients. Thanks Don for helping others in many ways. Pilots for Patients director Sharon Thomas, right, and pilot Wayne Petrus. 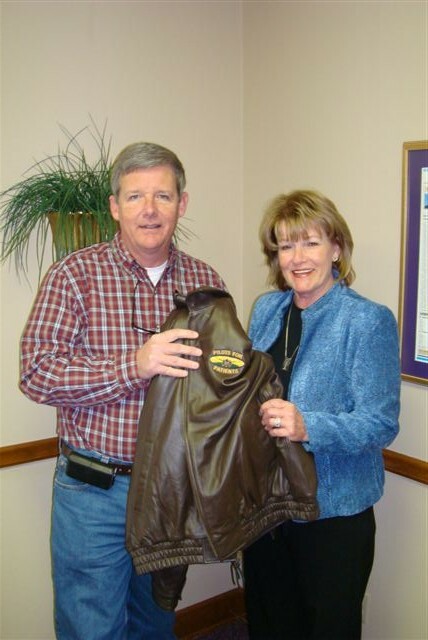 Mrs. Thomas presenting Wayne with his leather jacket for flying 50 missions for Pilots for Patients. 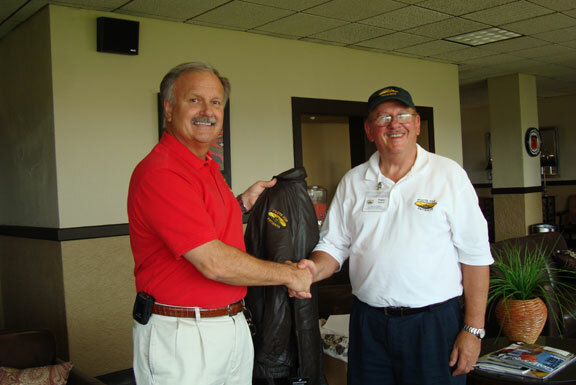 Philip Thomas, left, Pilots for Patients president, presents Keith Odom a leather jacket to mark his 50th mission for Pilots for Patients. 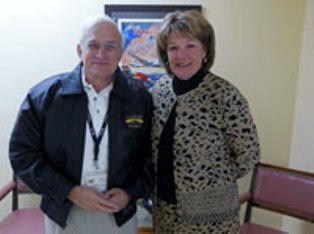 Pilots who have flown 50 to 99 Missions!